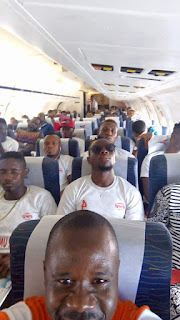 Team Akwa United comprising 18 players and 12 officials departed Ibom International Airport Sunday afternoon on board Dana Air to Lagos from where they will proceed to Tunisia for the first leg of their CAF Confederation Cup First Round match against Al-Ittihad of Libya. The Promise Keepers are making their second official flight with Dana Air after signing a landmark partnership deal with the foremost airline in February. 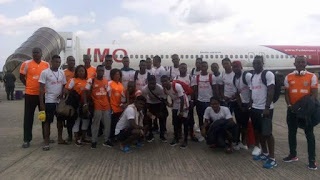 The 2017 Aiteo Cup champions will jet out of Lagos on Sunday night through Turkish Airlines to Istanbul in Turkey before connecting Tunis in Tunisia on Monday morning. 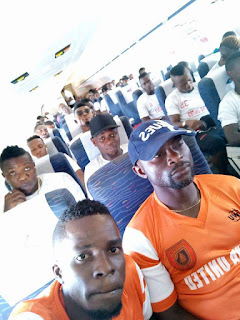 Akwa United overturned a 1-2 deficit against Hawks of Gambia, after winning the second leg 0-2 in Banjul to advance 3-2 on aggregate to the First Round. The match against Al-Ittihad will be played on Wednesday 7th March 2018 in the Tunisian city of Sfax.